Today Rally & March for Farmworker Justice! Join us today at 12:00 pm at Forman Park (between East Genesee and Almond Street in Syracuse NY) to hear from WCCNY members who have been tenaciously fighting against abuses and injustices on farms here in upstate New York. We will also be hearing from allies in the labor movement about why we all need to continue supporting farmworkers. After the rally, we will make our way down to the New York State offices building to meet with Senator Dave Valesky to call on him to vote in favor of the Farmworker Fair Labor Practices Act. We are rallying and marching for farmworker justice to show that Syracuse community members respect and support farmworkers in their important fight for basic labor protections and safe working conditions. We are holding this local rally and march in solidarity with the farmworkers and their allies that are embarking on 200 mile Justice for Farmworker march that started on May 15th and will end on June 1st in Albany on ‘Farmworker Albany Day.’ WCCNY members and organizers will be participating in the ‘Farmworker Albany Day’ on June 1st. Let us know if you would like to join us! 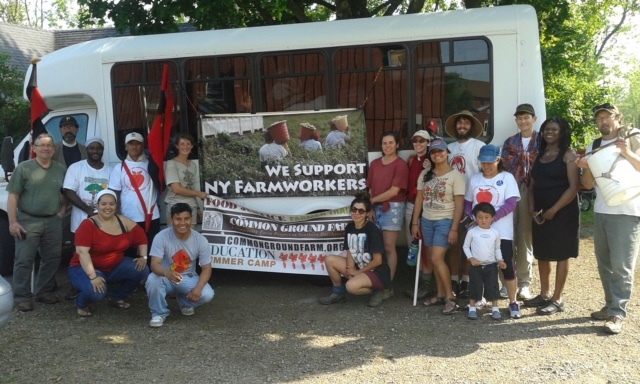 WCCNY members and leaders, Antonio and Victor, joined the 200 mile Justice for Farmworker march this week where they have been sharing their stories and talking about why it’s absolutely imperative that farmworkers have workplaces with dignity and basic labor rights. Victor will continue marching to Albany while Antonio will be back in Syracuse and he will be speaking at our local march and rally! 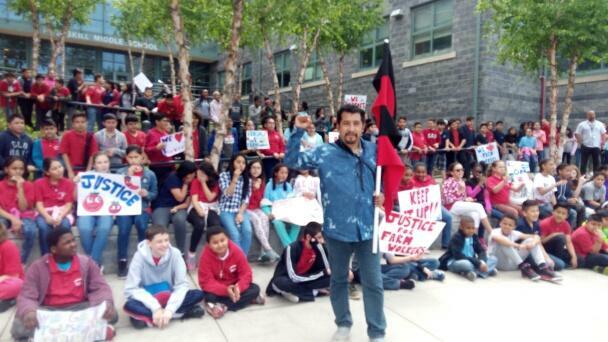 Worker Center leader Victor, see non the bottom left in his WCCNY t-shirt, joined the Justice for Farmworker march. WCCNY leader Antonio on the Justice for Farmworker march. We are in the last stretch of collecting postcards of support of the Farmworker Fair Labor Practices Act, which would give farmworkers basic protections and rights afforded to other workers such as the right to a day off, paid overtime, and the right to collective bargain. We would love to continue to gather support by gathering signatures at an event with of your place of worship, community organization, school, etc. Thank you to Spanish Action League staff member Isabel (left), and WCCNY volunteer, Sophie (right) for showing their support for the Farmworker Fair Labor Practices Act, a bill of rights that will afford them equality, dignity and respect.